California’s first private cannabis consumption lounge, Harvest on Geary (San Francisco), will have comfy seating, antique styling, concierge service, and Chess sets. Fanatix, a Michigan game and comic shop, has opened its third location. The new store in Troy has play space for tabletop and console games and maintains a close relationship with student clubs at Troy University. Labyrinth Games & Puzzles in Washington, DC (my favorite local shop) has significantly expanded its space, now allowing for more gaming tables and also more retail display. Official celebration of the opening is October 22nd. Two childhood gaming friends now in their 30s are opening a board game cafe in Derby, U.K. Along with the tabletop games, Game Knight will offer coffee, cupcakes, and a dedicated room for virtual-reality games. 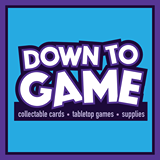 Down to Game, offering play space and the usual retail assortment, opened this past summer in Starkville, Mississippi. Common Ground Beer and Wine Bar in El Paso sounds more like a relaxing lounge. To complete the feeling, board games are also on tap. Hamleys toy store of the U.K. opened its first location in China, with 7,000 square-feet of retail and interactive games, in Xinjiekou Sanpower Plaza in Nianjing. Hamleys is also opening up a new location in Resorts World, Birmingham later this month and opened an outlet in Scotland today. As part of the Canvas Outdoor Museum Show in West Palm Beach, Florida, Narcissus Street will be turned in to a life-sized board game called Streetopoly. Canvas is scheduled just for November but Streetopoly will last for a year and include large movable game pieces. Barnes & Noble will be hosting in-store game events at all locations October 15th. Participants will have an opportunity to win promo products for featured games.